Dr. Sabeel with his team is again conducting a Free Medical Camp at his clinic on 25 September, 2016. 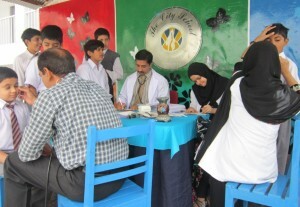 At this occasion free checkup will be done to all patients. Also free medicines will be given to all patients who will visit clinic on 25 September, 2016 (Sunday).